Although I’ve traded in late nights for peaceful mornings, life is all about balance. After a relaxing morning of yoga, sipping my coffee, and reading today’s headlines, I got ready for the day and headed to work. Peacefully settled in at a window seat, I put on my headphones as we drove past Tufts University toward Davis Square. As sun filled the bus and birds chirped outside, a warm spring feeling came over me. Minus the sun shining and birds chirping every day, most of my morning are like this. Instead of racing around and rushing to get to work, I make sure I start each day on the right foot. I make time to relax, caffeinate, and engage in self care- whether it’s doing a yoga video on my mat, lighting a stick of incense and mediating, or taking a walk down to the Mystic River, it’s important to ground myself before starting my work day. Sure, it may not be possible to get to bed by 9:30 or 10 every night- but when I do, I make sure to make the most out of the next morning. 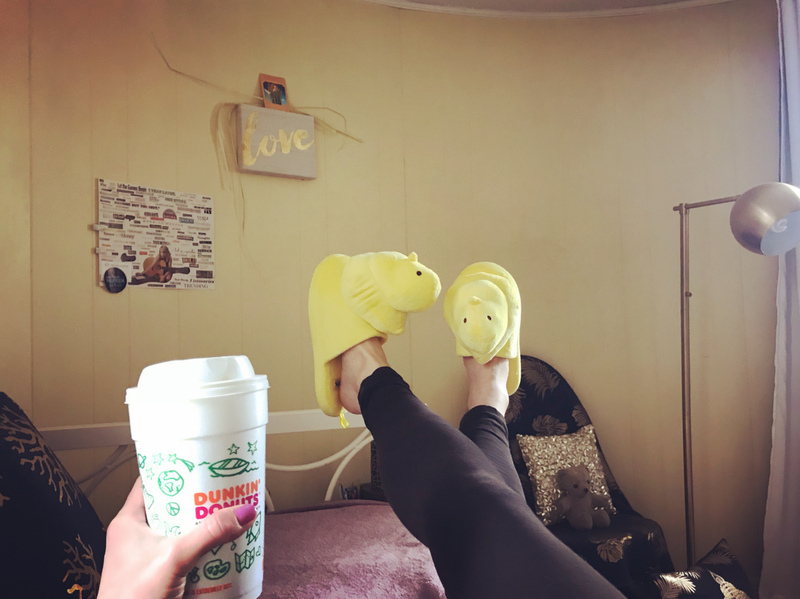 You might not have time to exercise or leisurely sip your morning tea, but these three simple things never fail to help me start the day out right, relax, and get into a positive mindset. Write down 10 gratitudes. Reflecting on things (both big and small!) I am thankful for always puts a smile on my face and puts life into perspective. It could be the fact that it’s warm outside, or that you have fun evening plans. Spend 5 minutes in silence. You may not have time to meditate, but before you do anything in the morning, spend 5 minutes with your eyes closed, focused on your breath. This will help clear your mind and calm your nerves before your brain gets going for the day. Find a morning routine you look forward to. One of my favorite things to do in the morning is to make a cup of coffee and head to the park or river. I love seeing the sun rise, watching the ducks, and being one with nature. Nothing grounds you like being outside! After grounding myself for the day, I feel lighter, less reactive, and calm. When I think back to the days of rushing to get out the door, I cringe a little bit. Although I’ve traded in late nights for peaceful mornings, life is all about balance.